The Landice residential elliptical is constructed to full institutional standards, offering the latest in engineering technology combined with old-fashioned American craftsmanship. At Landice, quality is our most important mission. Our E7 Elliptical has been rated #1 by a leading consumer rating publication for 2013 and 2014. Step up to a Landice. We build the same machine for the home as we do for the gym. 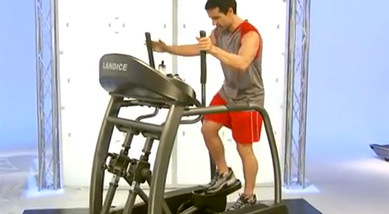 The Landice Elliptical uses a 1/8" inch thick commercial-grade steel frame. The strength of the frame ensures that you get a nice, quiet workout without the vibration you might experience with a lesser product. 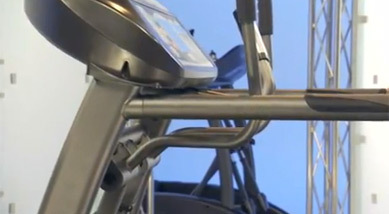 The most important component in the smoothness of the Elliptical is the flywheel. The extra steel in the Landice flywheel helps to create the smoothest ride in the industry. Landice uses a "super crank," stronger and more durable than those of our competitors to help ensure that your Elliptical will last a lifetime. 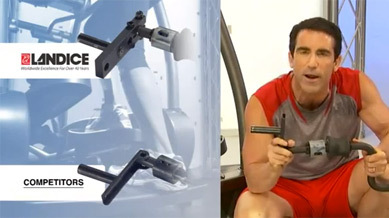 In addition, our curved roller ensures that your Elliptical will remain aligned during even the most intense workouts.